Planted together Narcissus (daffodil) bulbs and specialty (minor) bulbs lead to pest-resistant, perennial and naturalized landscape garden designs. According to Sally Ferguson of the Netherlands Flower Bulb Information Center, “Bulbs are called good perennializers if they come back at least three years in the garden, under proper growing conditions. Whether bulb combinations are perennial or destined to naturalize, remove dead flowers from daffodils to allow energy produced by leaves to accumulate in bulbs instead of being spent to produce seeds. Allow seeds to mature in specialty bulb flowers such as Scilla (squill), permitting plantings to spread more quickly. Allow bulb foliage to yellow and die back naturally as they go dormant in summer months. 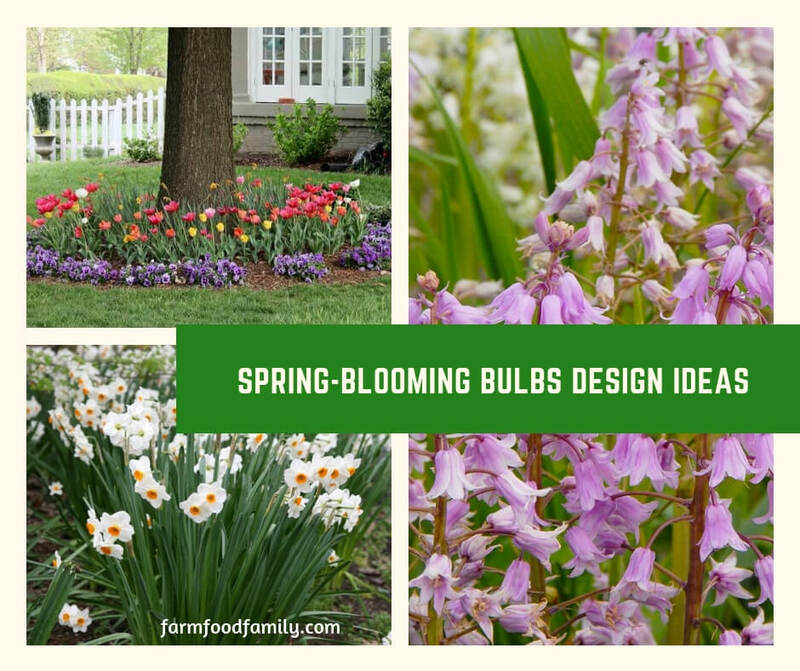 Cutting, tying or braiding foliage before maturity prevents bulbs from producing and storing energy needed to grow and bloom again next year. Some of the following design combinations are from English landscape gardens and others from a New England landscape garden. They are, however, suitable for plant hardiness zones 4/5 to 7/8, depending upon specific microclimates where planted. Galanthus nivalis (Snowdrop), Crocus tommasinianus, C. tommasinianus roseus and C. tommasinianus cultivars like ‘Barr’s Purple,’ ‘Lilac Beauty’ and ‘Ruby Giant’ team well with Fritillaria meleagris (Snake’s Head Fritillary) and miniature species Narcissus like N. bulbocodium (Hoop Petticoat Daffodil) and N. jonquilla simplex (Simple Jonquil). Hyacinthoides hispanica (Spanish Bluebell) grows strong and blooms well with easily naturalized daffodils like Tazetta Narcissus ‘Geranium’ and Large Cupped Narcissus ‘Flower Record’ under light shade from native or naturalized small trees like Cercis canadensis (redbud), Cornus alternifolia (Pagoda / Alternateleaf Dogwood) or Halesia tetraptera subspecies Monticola (Mountain Silverbell). Short-cupped yellow Narcissus ‘Quail’ and fragrant white N. ‘Thalia’ contrast with cobalt blue flowers of Muscari armeniacum on edges of shrub borders filled with Fothergilla gardenia and Deuzia gracilis ‘Nikko’.